Professor Chem Nayar, Emeritus Professor Curtin University, Director -Regen Power Pty Ltd and Radiant Solar and two Engineers ( Sujith Rajan and Naijo Dominic ) from Team Sustain Limited and Mr Ravindran Nair , Vice President ( Projects ) made their visit to the site on 23rd December 2017 and carried out the Site Inspection. 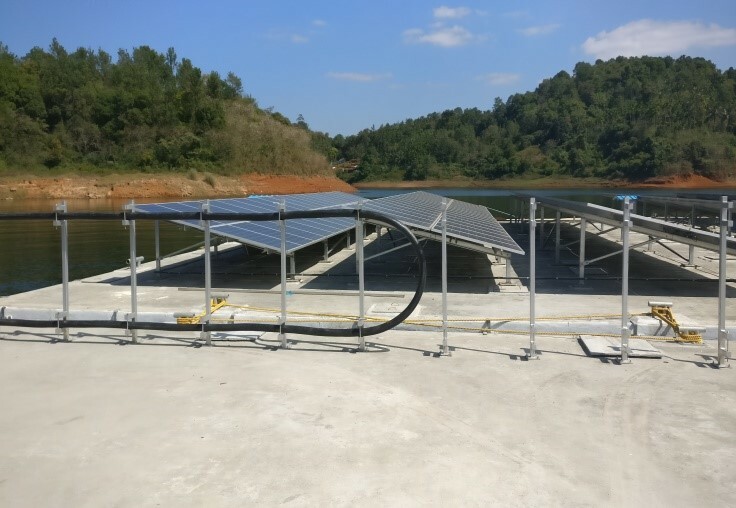 The floating solar power plant, was commissioned and inaugurated on 4th December 2017. The project will generate about 700,000 kWh per year which will be fed directly to the grid. 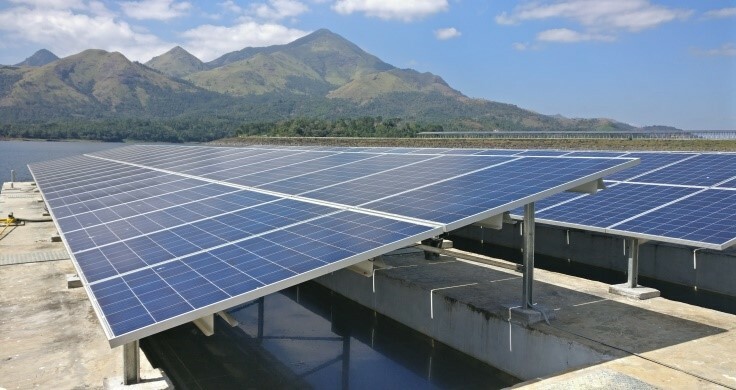 Previous studies have proved that floating solar panels generate higher output due to lower ambient temperature existing on the surface of the waterbody. Apart from this evaporation of water from the reservoir will be minimal as the surface is covered by solar panels. Banasura Sagar Dam, which impounds the Karamanathodu tributary of the Kabini River, is part of the Indian Banasurasagar Project consisting of a dam and a canal project started in 1979. 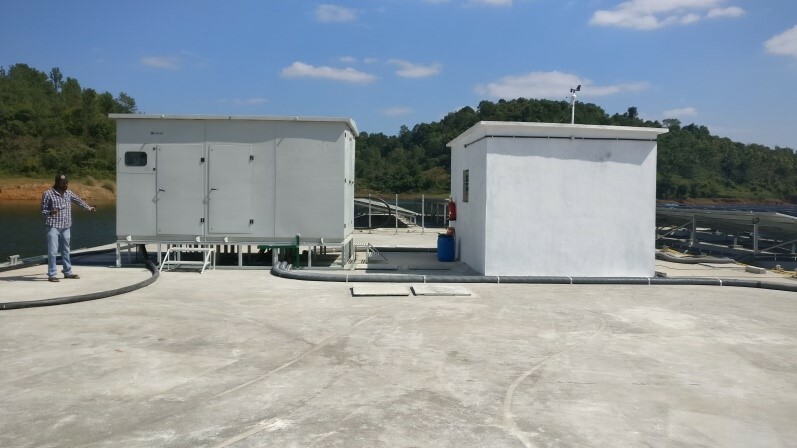 The goal of the project is to support the Kakkayam Hydroelectric power project and satisfy the demand for irrigation and drinking water in a region known to have water shortages in seasonal dry periods. Though it was originally planned for irrigation, water from this Reservoir is not being used at present. 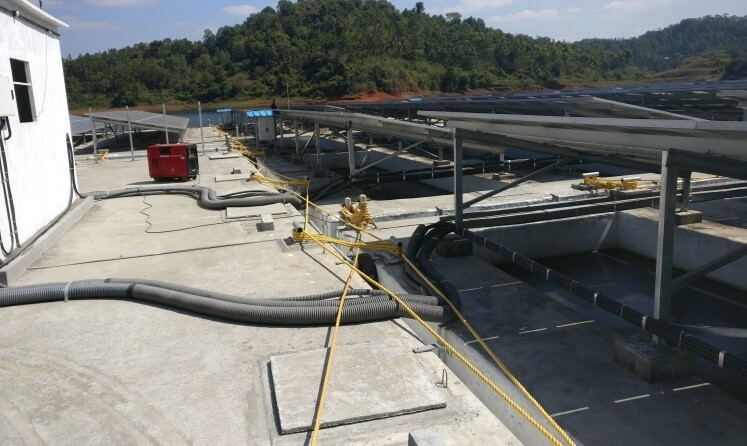 The 500 kWp Grid Interactive Floating Solar Power Plant in the Banasura Sagar dam, Wayanad is the first of its kind in India. The project is designed for Kerala State Electricity Board (KSEB) and the solar photovoltaic array, inverters and 11 kV Sub-station are installed on 18 floating platforms made of Ferro cement floaters with hollow insides which are able to adapt to varying reservoir water levels by means of an innovative anchoring system. 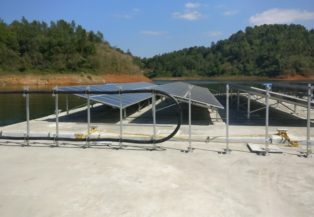 Floating solar farm floats on 6,000 square metres of water surface of the reservoir. 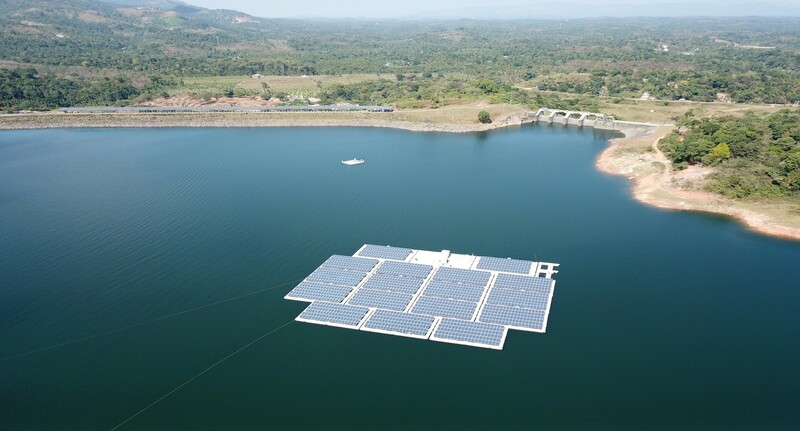 Each floating platforms has 115 numbers of solar panels and a 33kW solar string inverter . 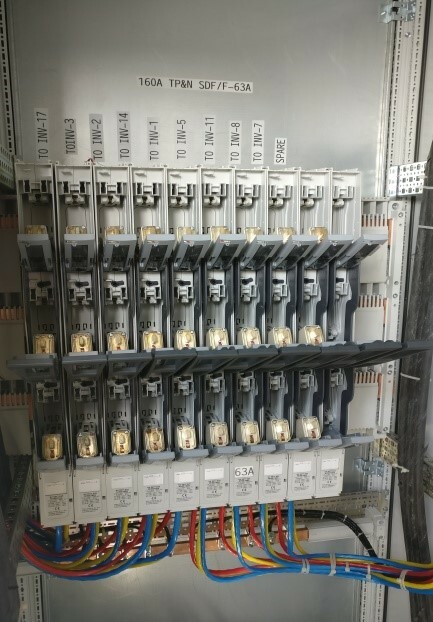 There is Supervisory Control and Data Acquisition (SCADA) system to control and monitor power generation and the power produced will be evacuated through an 11 kV under water cable to the 11 kV grid of KSEBL.